I found this recipe online a few years ago it’s a simple whiskey recipe that allows you to make a smooth flavour whiskey with minimal work. It uses a simple sugar wash while adding wheat germ to give the flavour to your whiskey. To get started add sugar, wheat germ and citric acid into a 5 gallon pot. Top up the pot with water nearly to the top leave some room to let it boil. Bring the wash to a boil for 1 hour then poor the wash into a fermentor mine is a 6.5 Gallon fermentor. Make sure your fermenter is food grade and has an air lock, if you don’t have one you can purchased one at your local home brew store. Add cold water to top off fermenter to 6 gallons. Once wash has cooled to below 30 degrees C add yeast and let stand for 1 hour then stir. Let stand for another 24 hours and stir again. Then let sit for 3 – 6 days time to complete fermentation will depend on temperature of fermentation. You will know fermentation is complete when bubbles stop passing though air lock. Once fermentation is complete it’s time to distill. 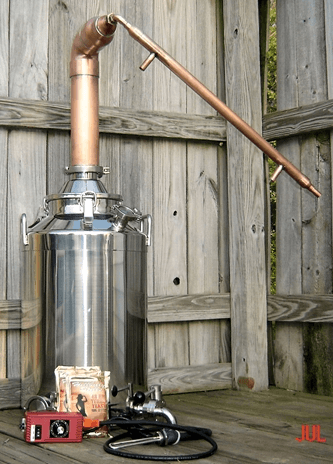 If this is your first time making moonshine you may want to check out my step by step guide to distilling whiskey before you start. Ageing your homemade whiskey can enhance natural flavours in the whiskey as well as add unique flavours from the wood you use to give it a great final taste. 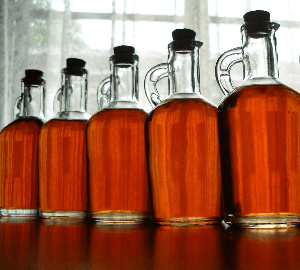 I recently wrote this guide to ageing and flavouring moonshine which will take you over the process of aging some theory and how to do it. 16 Responses to "Deathwish Wheat Germ Recipe (DWWG) – Makes a smooth scotch flavor whiskey"
Let me know how it turns out ! where do you buy wheat germ and what brand works? The wheat germ is the embryo of the wheat kernel that has been separated in the milling process. Stores sell it separately from other wheat components because of its high vitamin, mineral and protein contents. I wouldn’t worry so much about the brand. You should be able to find wheat germ in some large grocery stores, usually next to the oatmeal bins. Most health-food stores or natural food stores also sell wheat germ. It may be available in bulk bins, in boxes or in jars, so check with employees if you have trouble finding it. You can also order wheat germ online from here. Thank u for the info. Much appreciated. also what is this likened to? im new to this and i am looking for something new to try.thanks in advance. Fermenting a 10 gallon batch now,hope to run in a week or so.? Not sure what I’m doing wrong but it tasted exactly like just a plain corn batch. Plus I didn’t get very much product. Og1.066 fg.99 out of 8gallons ended up with a liter of something kinda drinkable. Wish I knew what was giving me a cardboard taste in every batch I run. 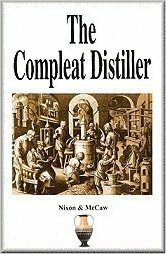 is it necessary to distill the alcohol or can you go without? I think you’re gonna want to distill it! But hey that’s just my opinion you may like it just fine without. If you’re going to go that route I’d say use a clearing agent to help remove sediment! If you try it let me know how it turned out. Can you use wheat if you crush it first? Just curious because we have a fair bit but only the entire wheat seed? You can certainly use the wheat instead of the sugar. But you’ll have to malt part of the grain first so that you can convert the starches to sugars. I’ve detailed the process of making a grain mash already. Let me know how you make out! Can bread yeast be used as a substitute for champagne yeast? If so would you alter the amount, for example for rye and corn mash I use 2 packs of bread yeast to great success. Dan would you share your rye reciepe?